Let your pet know a leash or carrier is not just about going to the vet. Let them get used to the carrier and see it as safe place to play. Leave it out with the door open. You can feed and play with your cat while it is in the carrier. While at the clinic it is important for you to remain calm. Talk to your pet in a low soothing voice. Consider spraying a pheromone on the bedding in their carrier or on the towel covering the carriers. Ask us about the benefits of pheromones and the proper way to use them. Always allow one of our trained team members to handle your cat. We have a limited number of carriers if you need to borrow one. We also do home visits if bringing your cat to us is just too stressful. 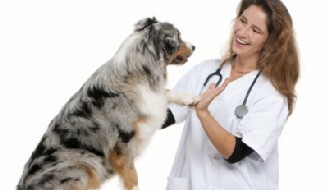 Please talk to us about your pets stress levels and we can put a plan in place to address their needs.